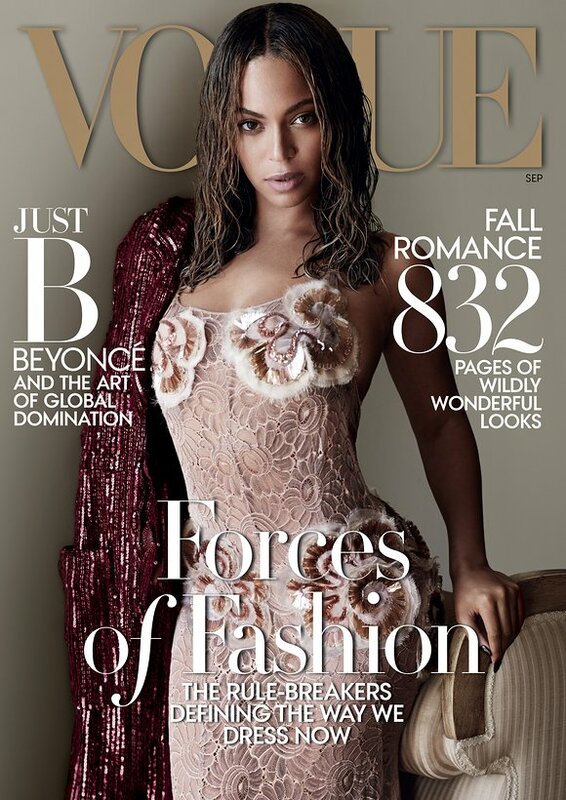 Goddess Beyonce, Deity Style Ruler of Planet Earth on the cover of Vogue. I'm not a celebrity stalker. I feel like they're just working stiffs like the rest of us, only with a ga-zillions dollars, endless attention & access to the best of the best the Universe has to offer. Beyonce is one of the few famous people I actually admire. She can pretty much do whatever she likes & she does. I like that in a person. With no boundaries, her success is unlimited & she takes full advantage of the possibilities. I like that too. Never overextended, she is beyond everything to everybody & never looks as if she lifted a finger. Pick up a copy of Vogue today! Yes, you must have the weighty paper version too! Watch this on The Scene video compliments of Vogue.